Unable to Cash up - Tabs are unsettled. "All open tabs must be settled" error message when trying to cash up. This error means you have a customer tab open. All tabs need to be closed or moved before cashing up. If you need to keep them open for payment, you should create an account and then assign the tab onto it for settling later. Open the customer tabs area by pressing the Tabs button next to Name Me on the order screen. In the Tabs screen, you need to close off any existing tabs. They will appear with a green border. 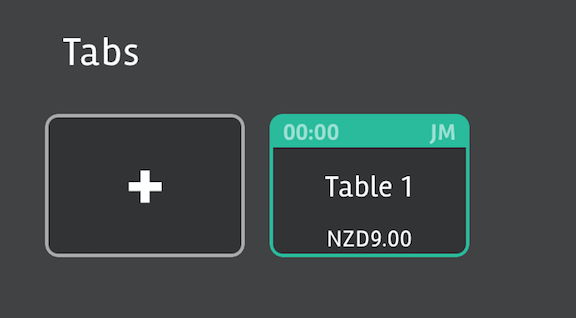 Press the tab to open it in the order screen and pay the tab off - or assign it to an account for later payment, or if the tab is in error you should void the items and then pay the balance of $0.00 to Hospo or Cash in the payment screen to fully remove the tab. You can then cash up.